Brighton-based Twilight Driving has just released their new single ‘Dangerous’. 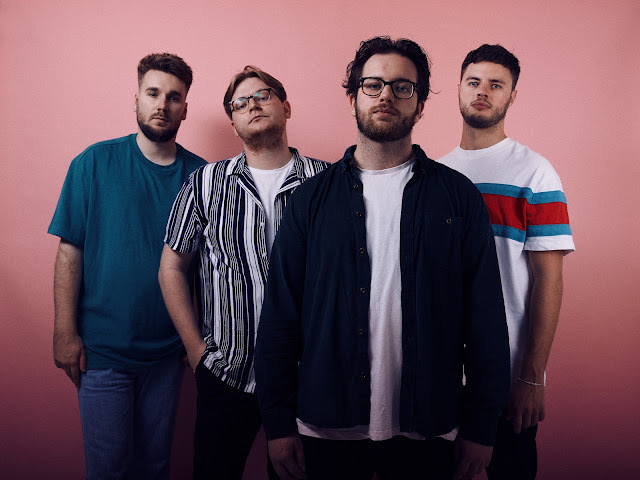 Known for delivering honest songs laden with catchy hooks and big sounds, such as ‘Between The Sheets’, the four-piece Indie-pop outfit cement their sound with ‘Dangerous’. A stark, synth-led drum beat introduces the tone of the track, that conjures a sense of wonder and possibility. Their tantalising melodies are dripping in Americana, infused with close harmonies to form a pounding indie-pop release. 'Dangerous’ is about growing up and living in a city, when everything is constantly changing around you. Friends move away, relationships change and the impact that has on your health. Its that experience of moving from your teens and into your twenties, that everyone goes through. The chorus elevates the track to another level, carrying all the hallmarks of Twilight Driving’s stellar songwriting. With a memorable hook, neon-clad synths and a stadium-sized indie-pop sound, ‘Dangerous’ touches upon personal and relatable subjects, proving themselves as serious songwriters and musicians. In a short space of three minutes, Twilight Driving have mastered their craft, creating a positive soundscape with both 80’s inspired synths and indie-pop influences, proving that they are a force to be reckoned with.